Yes, it’s that time of the year again! 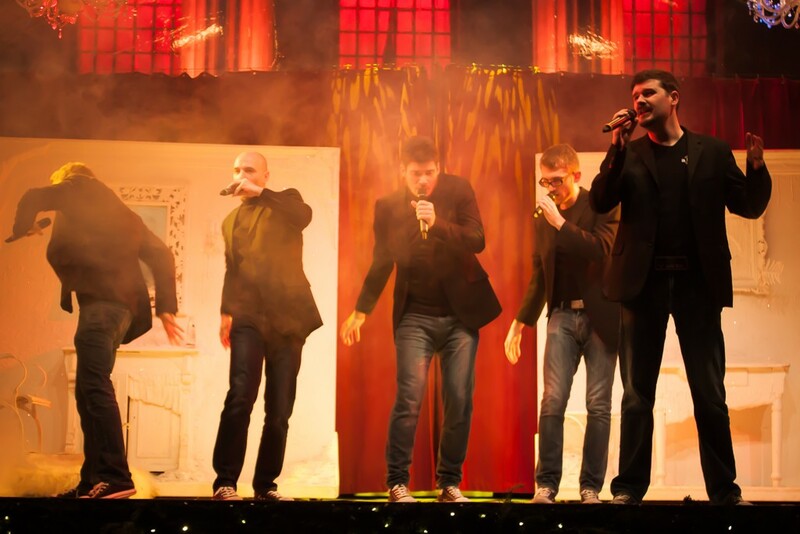 Can you believe Christmas is almost upon us? 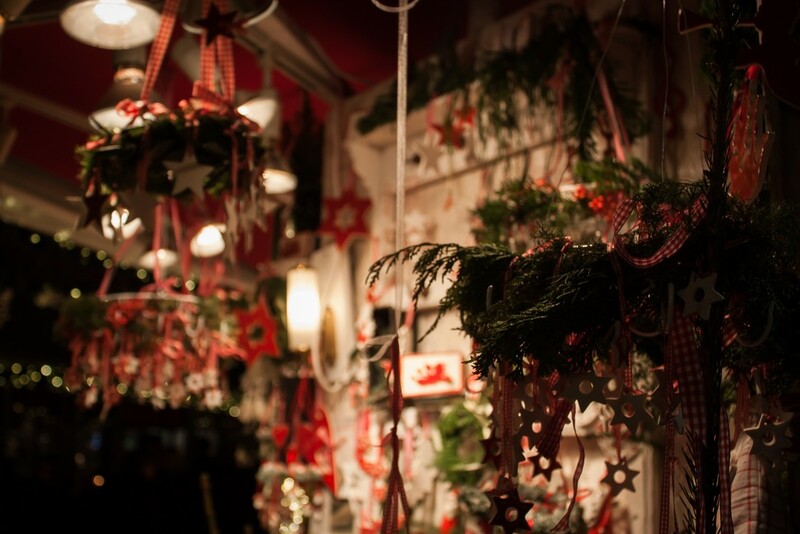 One of my favourite things to do during the festive season in Germany is to hit up all the Christmas markets I can. 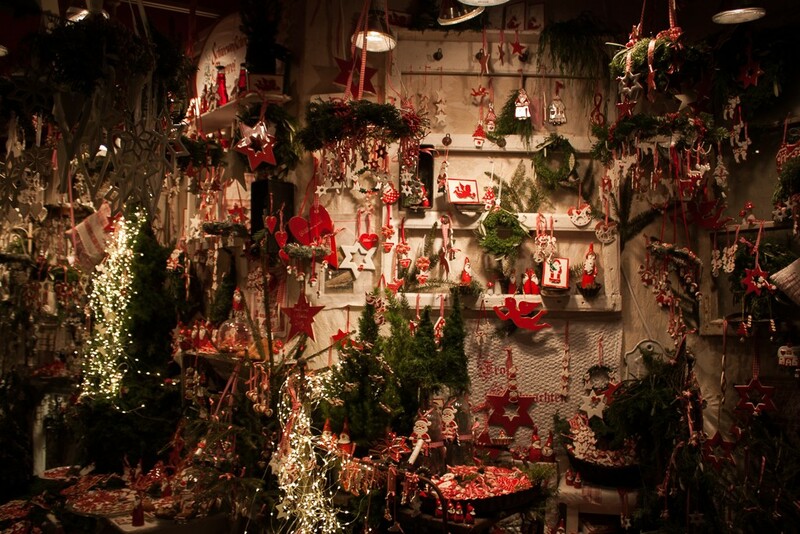 I count myself lucky to live in a country where Christmas markets are such a major part of the holidays. 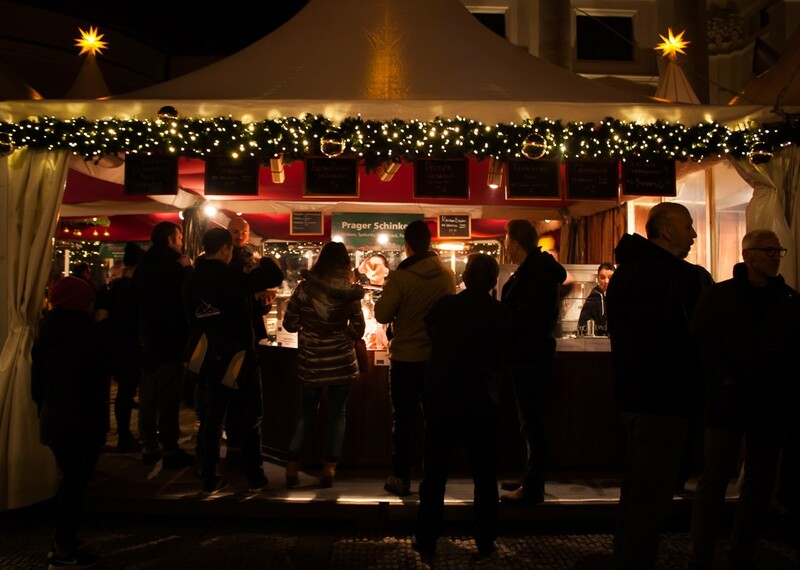 Meeting up with friends, family, or colleagues, drinking a cup a mulled wine, chowing down on a sausage – you can’t but help smile and get caught up in the Christmas spirit. 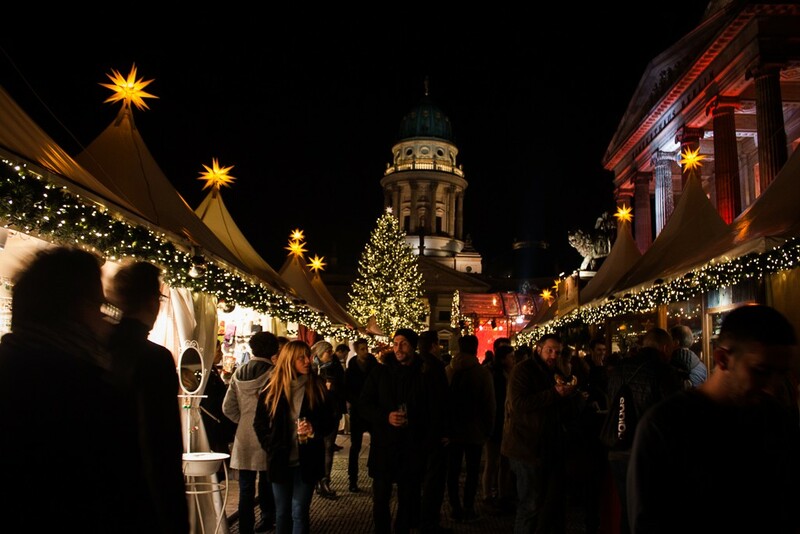 Recently, I visited my favourite Christmas market in all of Berlin, the WeihnachtsZauber Gendarmenmarkt. 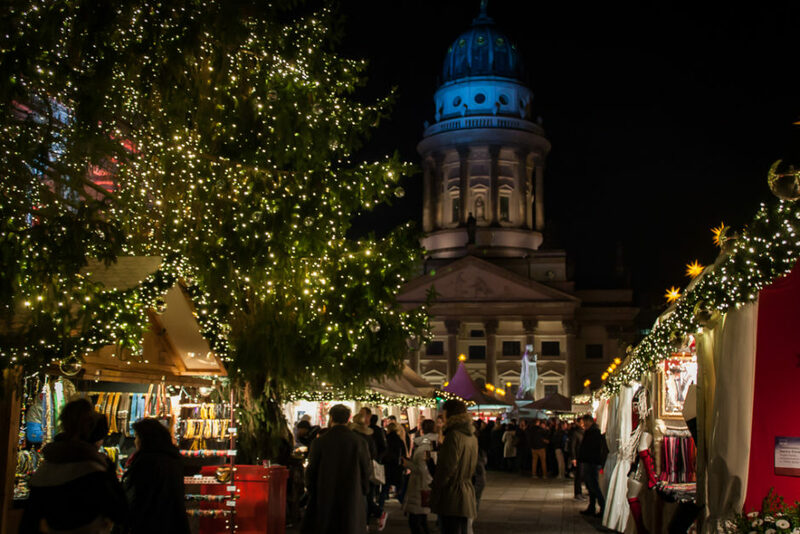 While the Christmas market at Schloss Charlottenburg is really beautiful, it somehow doesn’t compare to the Christmas market at the Gendarmenmarkt. 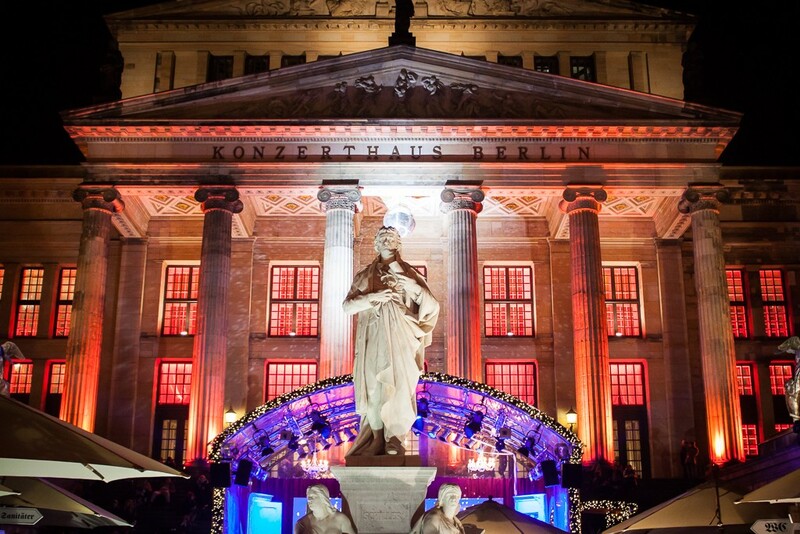 The atmospheric WeihnachtsZauber Gendarmenmarkt is situated in a square surrounded by the Französischer Dom, Deutscher Dom, and the Konzerthaus and is lit up by more than 1,000 strings of lights. 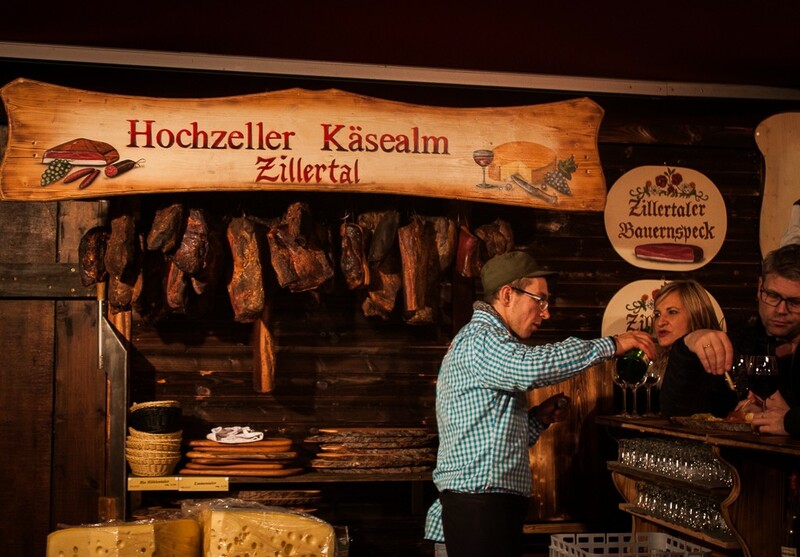 With about 60,000 visitors annually, people visit the market not only to soak up the festive ambience, but to indulge in top notch food from one of many food stands and restaurants, shop from tons of different vendors selling Christmas decorations, and take in various musical performances. 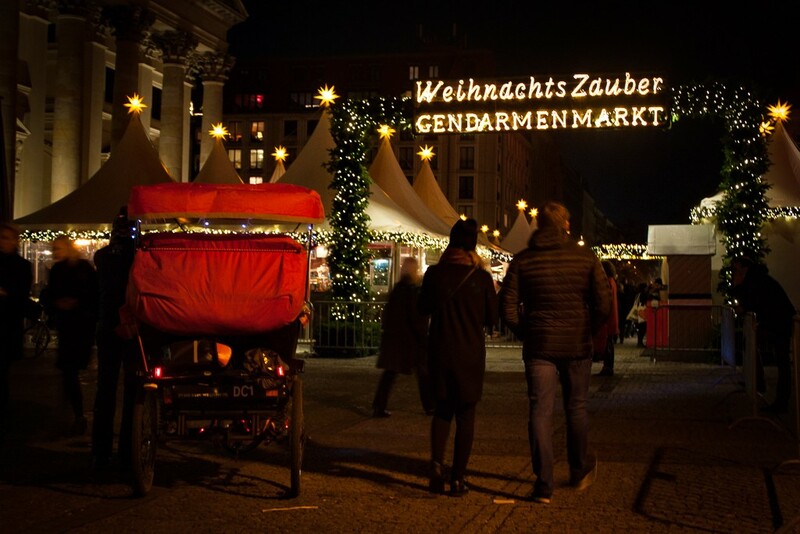 Recommended reading: For more information on Berlin Christmas markets, read Exploring Berlin’s Christmas Markets—from the trendy to the quirky and this Berlin Christmas Market Guide. 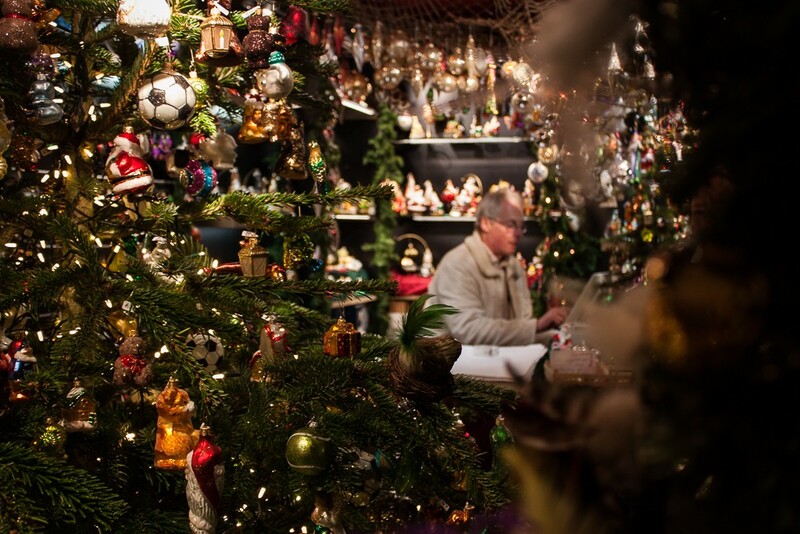 Or check out this public transit map of Berlin Christmas markets. 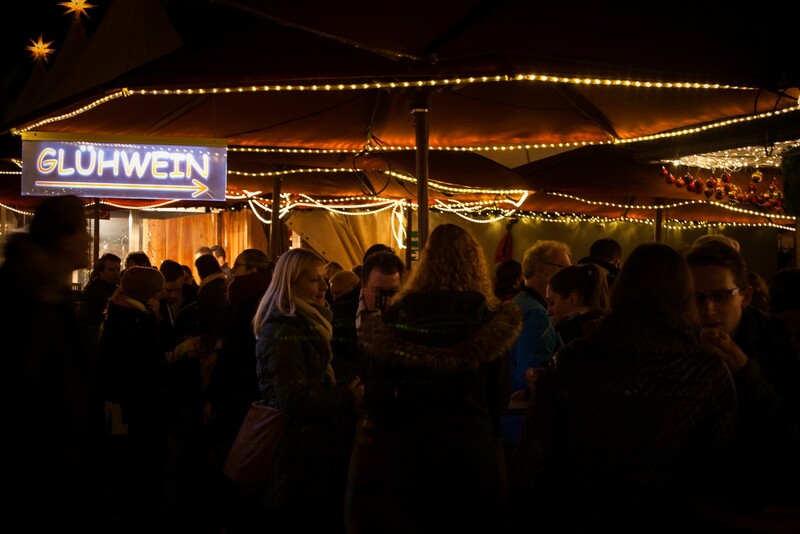 If you love Christmas in Berlin, check out our outpouring of love for Brandenburger Tor at Christmas. 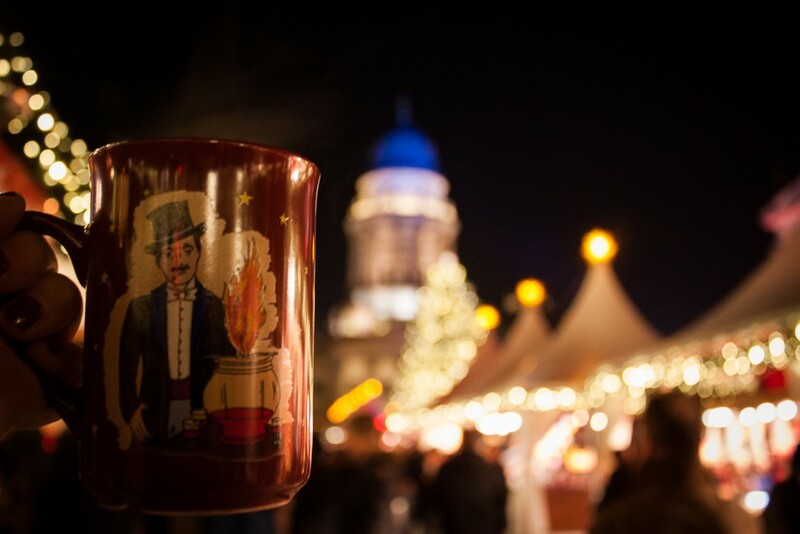 One of the first things you’ll want to do once is grab a hot and steaming cup of Glühwein (mulled wine). 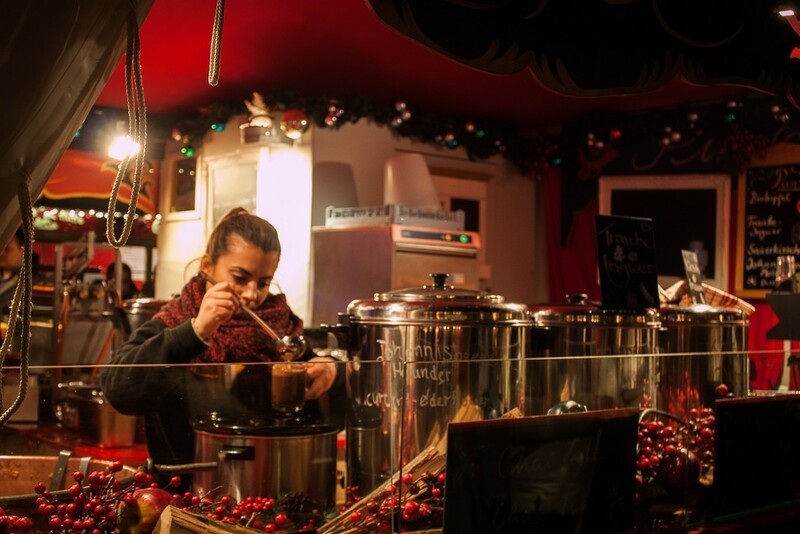 This warm and spicy drink is popular at Christmas markets in Germany and is the perfect thing to warm you up on a cold winter’s night. Even better is adding a shot of Amaretto (or another spirit), to make your drink even more tasty. Pro tips: Drink it fast as cold mulled wine is not very tasty at all. You can either keep your cup as a souvenir or return it to any one of the stands to get a small €1-2 deposit back. You’ve had a drink (or two), so what next? 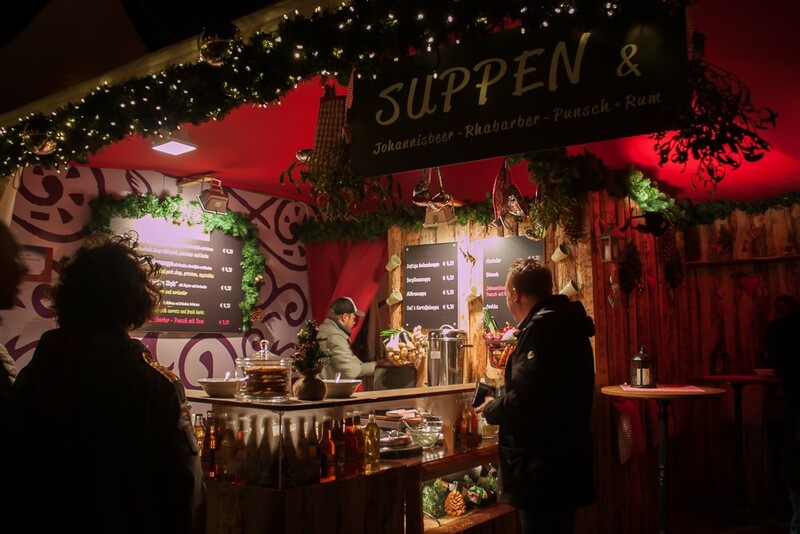 Eat to your heart’s content, as the WeihnachtsZauber Gendarmenmarkt has lots of food on offer like sausage, Belgian waffles, hot soup, steak, cheese, ginger cookies, and so much more. 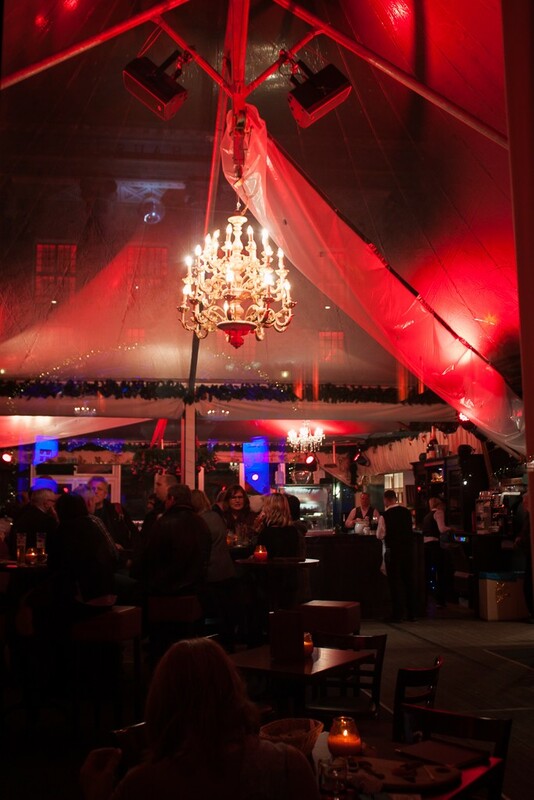 If you’re feeling cold (or lazy), grab a table at one of the makeshift restaurants to warm up and relax for a spell. Actually, go here. Some of these restaurants are even run by Michelin-starred chefs! While decorating my house for Christmas isn’t my thing (I’m content with a simple poinsettia and a few red holiday candles), at the WeihnachtsZauber Gendarmenmarkt, you’ll find all sorts of Christmas decorations available for purchase – some tasteful and others a little garish. 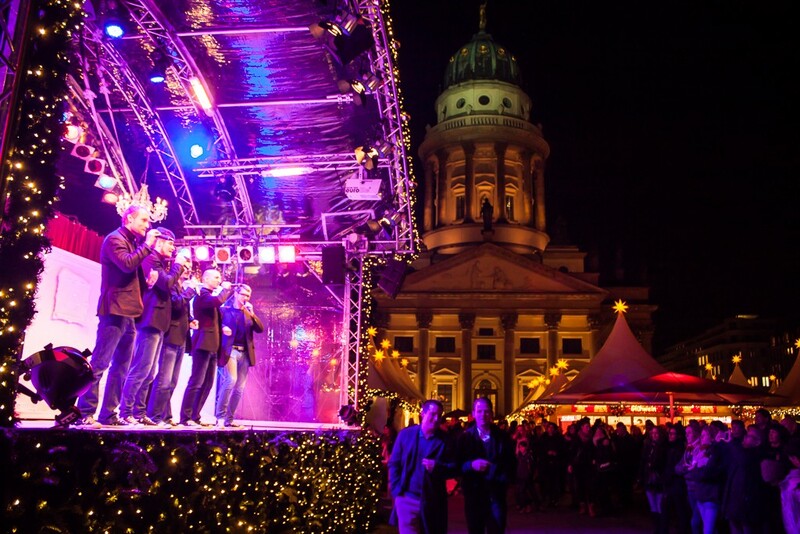 To keep market goers entertained each day, there’s a full roster of musical performances at WeihnachtsZauber Gendarmenmarkt. 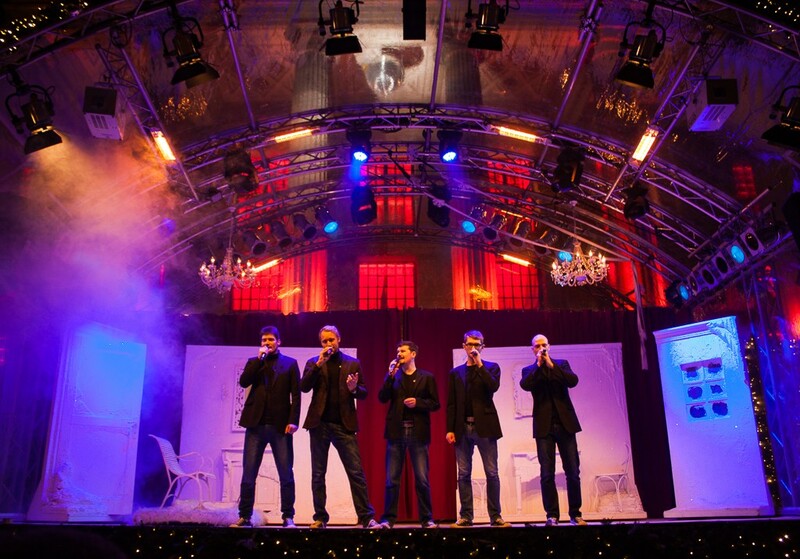 You’ll hear gospel singers, jazz bands, and other singers like the guys pictured here who sing random songs other than Christmas carols. 1) The WeihnachtsZauber Gendarmenmarkt opens on November 27 and will remain open through to December 31, 2017 from 2:00 p.m. – 10:00 p.m. On Christmas Eve, it’s open from 11:00 a.m. – 6:00 p.m. and on New Year’s Eve from 11:00 a.m. – 1:00 p.m.
2) Admission is €1 and proceeds from ticket sales go to a local charity. Admission is free for children under 12 years old. Buy your ticket before getting in line. 3) Dogs are not permitted inside the market, unless they’re a designated guide dog. 4) You need to pass through security before entering the market. Be patient and let them look through your bag(s). Suitcases and large backpacks are not permitted for safety reasons. 5) The market’s extremely busy on weekends and holidays. 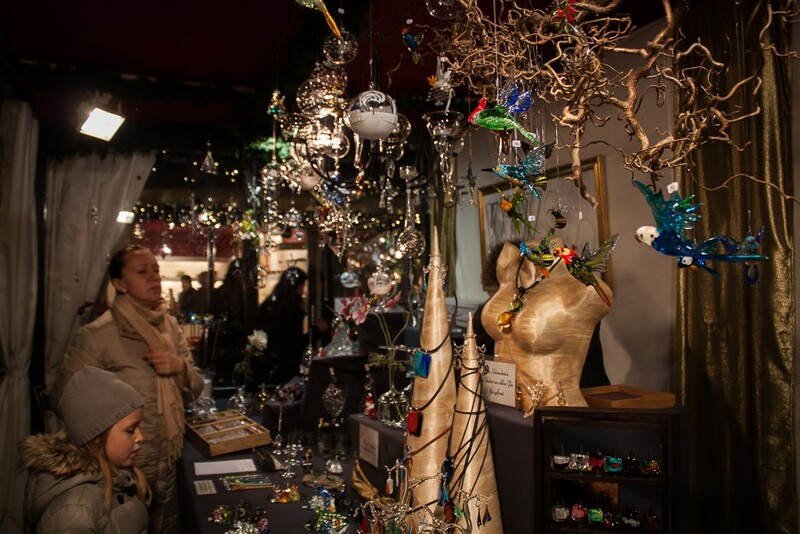 Check out the market during the week to avoid the massive crowds. 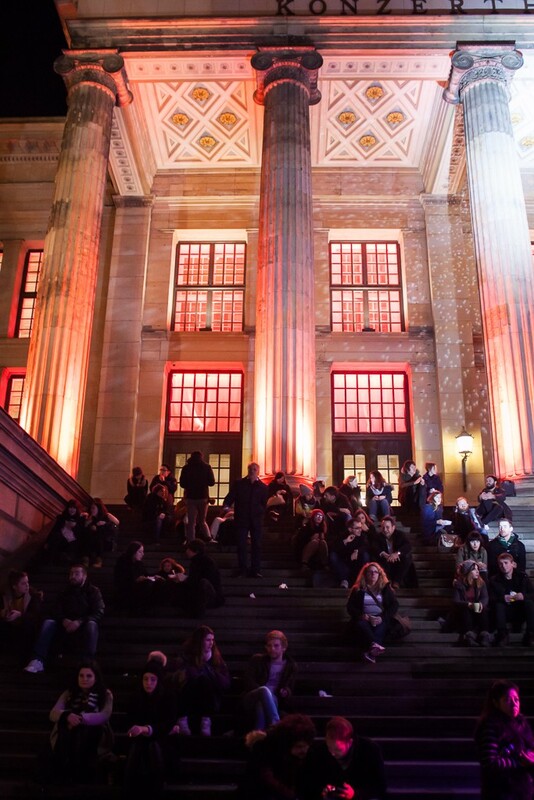 6) For anything and everything Berlin, check out my Berlin guide. 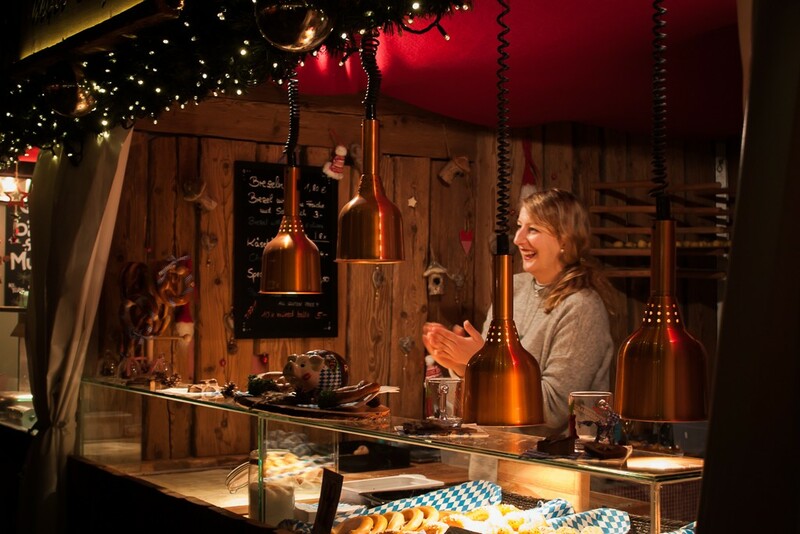 If you’re a fan of Christmas markets in general, read The Best Christmas Markets In Germany. I’m writing this on a train to Berlin! 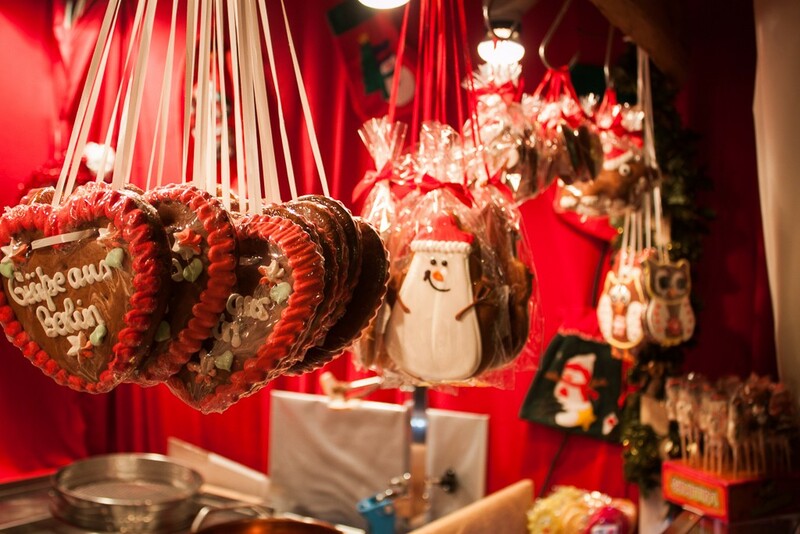 And we’re staying right near this Christmas Market. So excited. Your post and photos are terrific. I loooove this market <3 my fav! Wow! 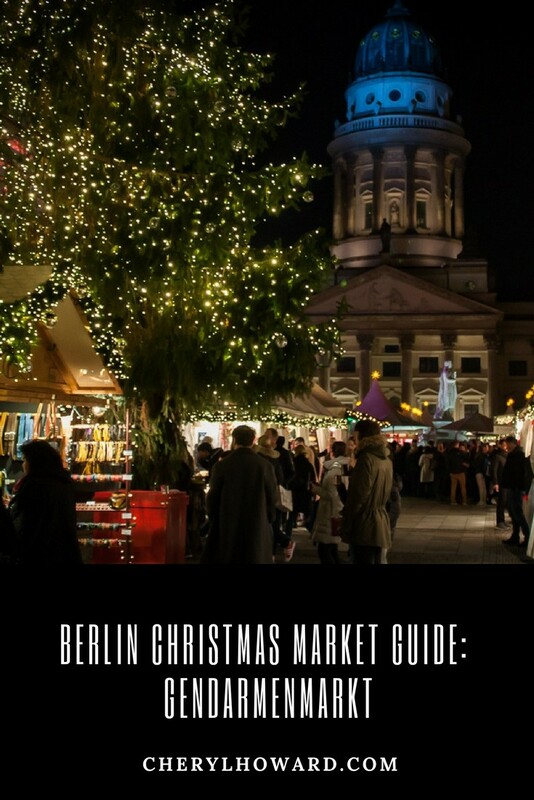 Such a fantastic guide of Berlin Christmas Market Guide. 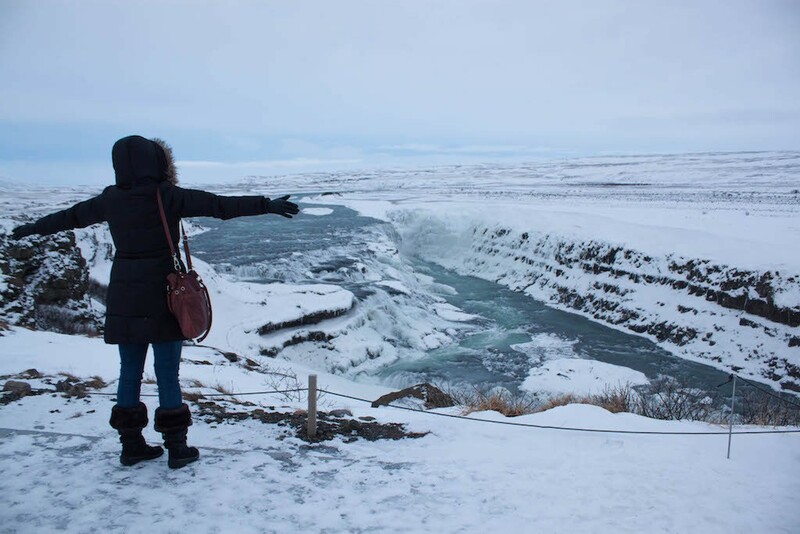 You captured nice pics in your travel trip. Wonderful post. Thank you so much for sharing it.